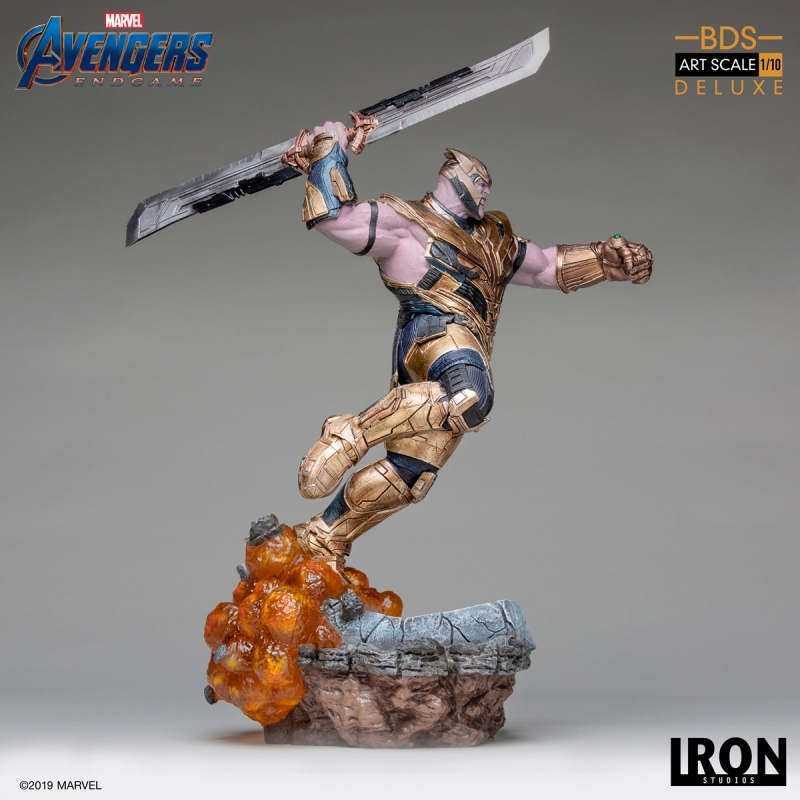 Thanos was created in comics by Jim Starlin in 1973. 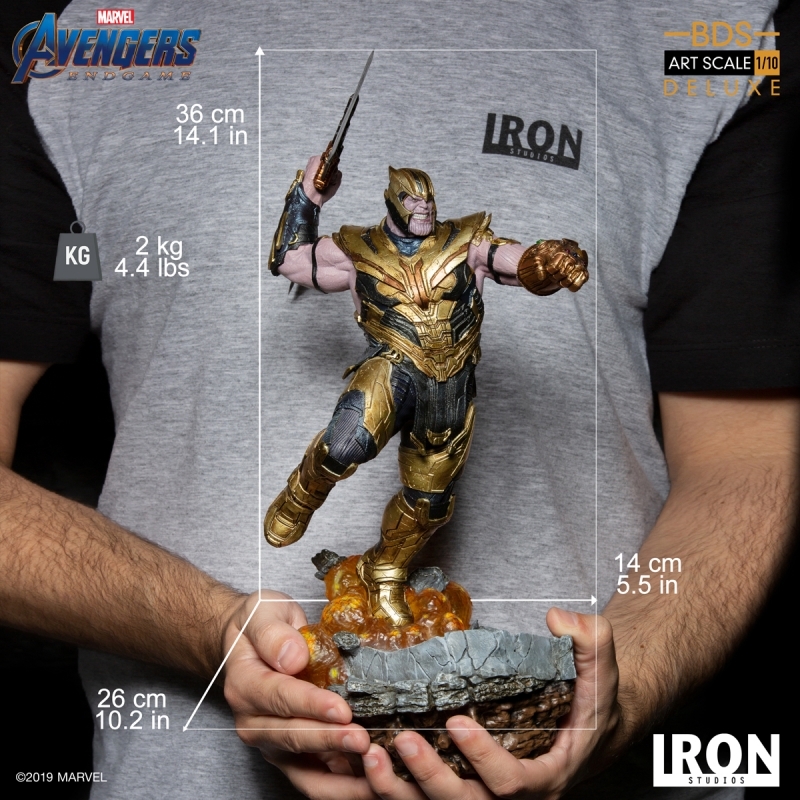 He was born on Titan and is one of the most powerful and dangerous beings in all Marvel lore. 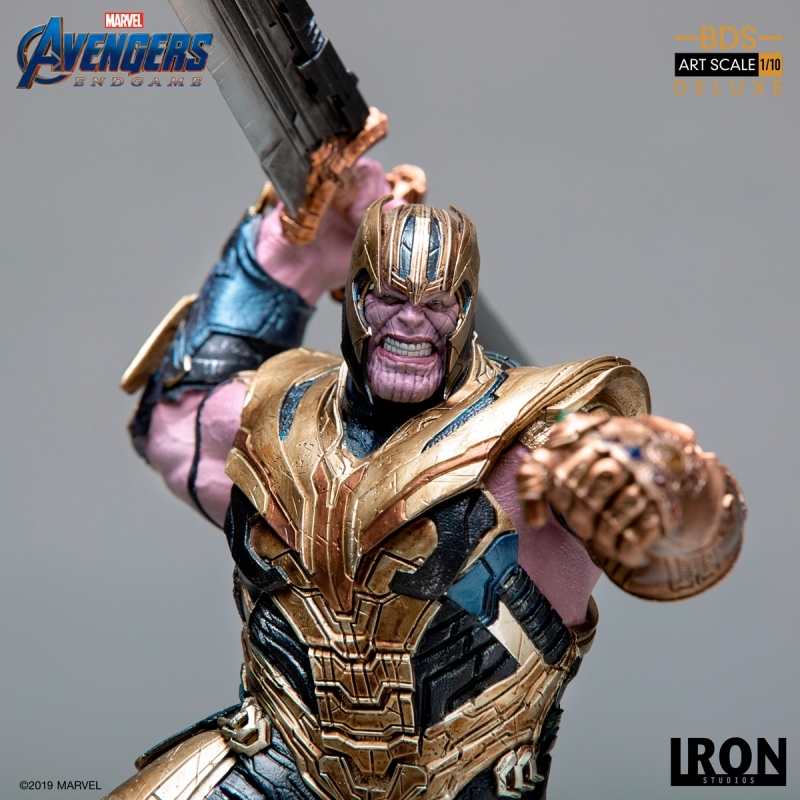 In the movies Thanos appeared in the first Avengers and now is the main villain of all Marvel Cinematic Universe, with a great appearence in Infinity War. 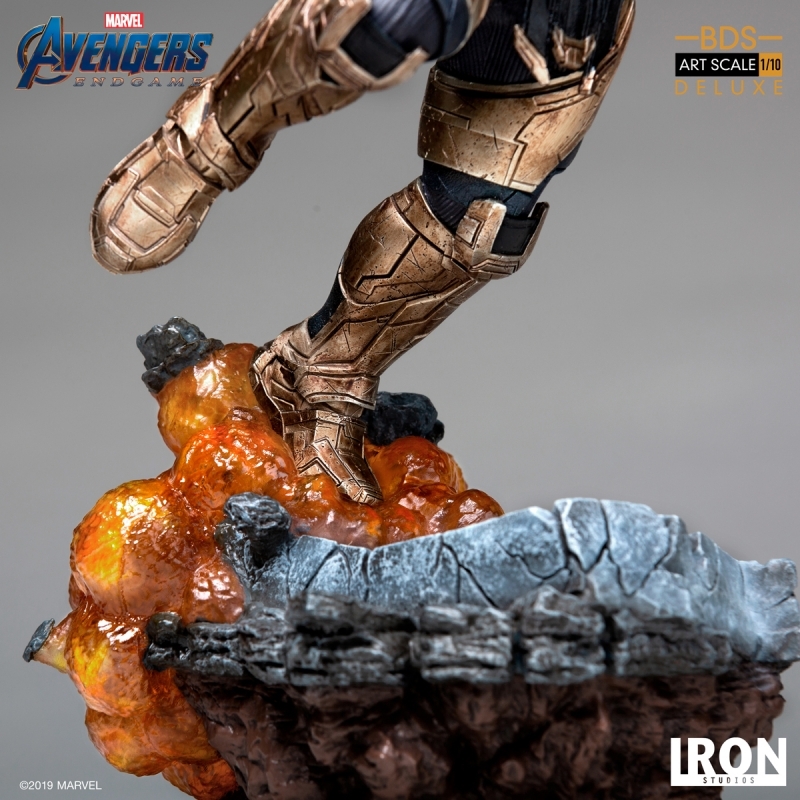 Now, the first 10 years of the MCU converges to Endgame and Iron Studios is proud to present the fearsome character in all his glory. 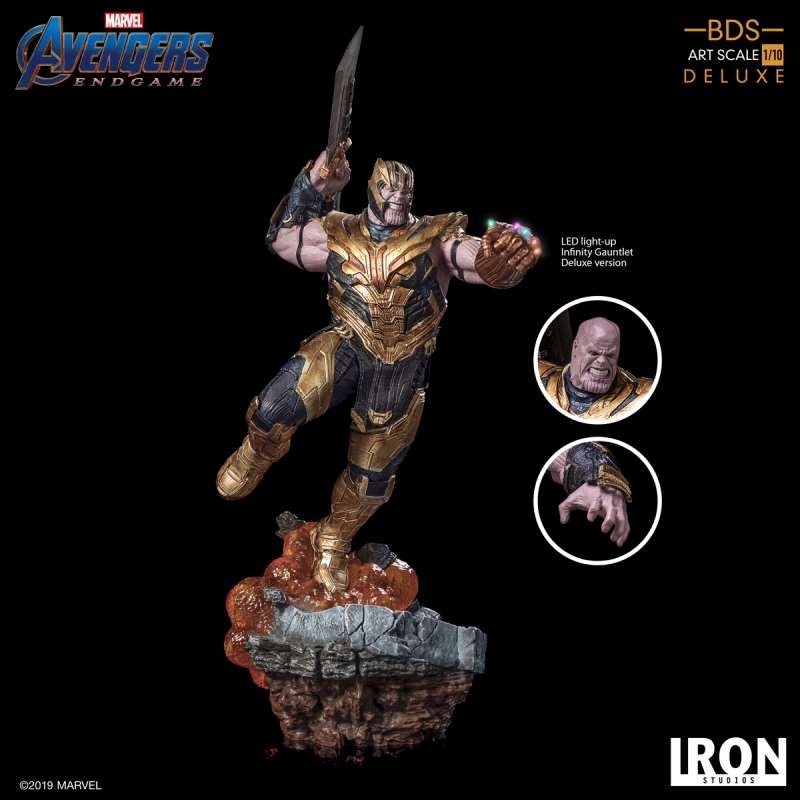 There will be the regular version of Thanos with full armour, his new weapon and the Infinity Gauntlet and also the Deluxe version, that comes with an extra head, extra left hand and light up feature on the Gems.